hi friends...just a quick note to let you know i will be accepting sponsors again for december. the extra large spot has been snagged but i still have small and large spots available. check out the link for more details or email me at loveelycia[at]hotmail[dot]com. 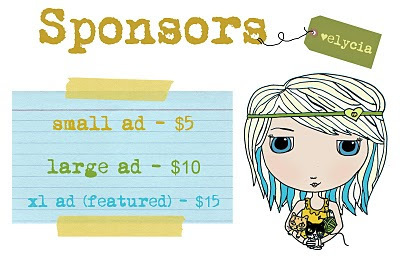 and be sure to check out my november sponsors before they're gone. they are pretty awesome! ps. can you believe it is almost december?! bonkers! !